As Westport evolves its applications -- both on the road and off -- for natural gas-powered transportation, a key component in many of these applications is a liquefied natural gas (LNG) pump. Westport designs and produces pumps for LNG-fuelled applications such as trucks, trains, generators and ships. These pumps are produced to deliver both high and low pressure gas depending on the engine applications. The Westport P200 LNG High Horsepower Pump. Cryogenic pumps are designed for durability and rapid response to engine fuelling demand. These characteristics are essential for mobile LNG-fuelled applications and why Westport has selected a submerged pump design. 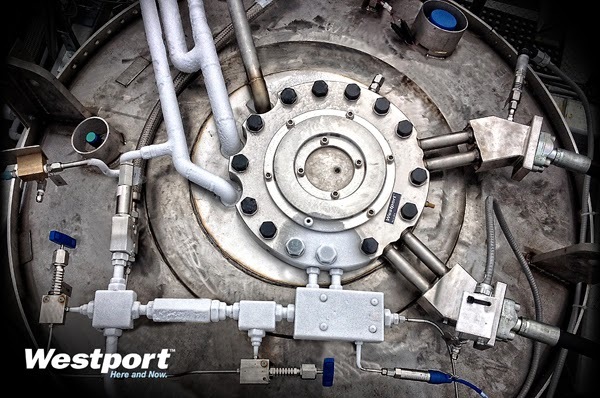 Example product applications for Westport pump technology include the Westport 15L engine featuring first generation Westport™ HPDI, Westport iCE PACK™ LNG Tank System, LNG-fuelled mine trucks and LNG rail tenders. Westport’s LNG pump technology ensures fuel delivery under any operating environment as it doesn’t rely on tank pressure. Our latest series of pumps include the P200 for high horsepower uses and the P20 for trucking applications, including Westport™ HPDI 2.0 technology and the iCE PACK.